Works of the Right Hon. Edmund Burke. 12 vols. 1815. In the whole range of English literature there is no name which can be put upon precisely the same level with that of Burke. He is the one Englishman who has succeeded in attaining first-rate eminence both in politics and in literature by one and the same set of writings. 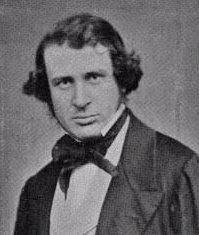 We have great statesmen and great writers, and of our many literary statesmen, some few persons have combined the two characters, but hardly any one except Burke has given to his Parliamentary speeches and political pamphlets a literary form which has secured to him and to them a prominent place in the permanent literature of the country. Burke, moreover, is one of those writers with whom almost every one is to a certain extent acquainted. There are passages in the Reflections on the Revolution in France, and in the Letter to a Noble Lord, which are perhaps as well known as almost anything in English prose; but there is also a good deal of terra incognita in his works. He is generally read in snatches, and probably comparatively few persons take the trouble to go straight through his works in their chronological order. It is, however, well worth while to do so, as such a process gives a far better notion of the man and of his writings than is to be obtained in any other manner. We propose to give a short sketch of his writings, in the order of their publication, and also to extract from them and to discuss a few of the more important of the doctrines which he preached, in different forms, with so much effect and pertinacity, for nearly forty years. No one, he thinks, will deny the advantages of civil society, yet something may be said to show that savage life is superior to it. The pamphlet itself is rather long for a parody, as it fills about eighty pages. It is no doubt a vigorous imitation of Bolingbroke's style, but, inasmuch as no one ever wrote more purely or more powerfully, the attempt to parody it is strange and pointless. The parody of Bolingbroke's mode of thought is better, but the whole subject is too grave to be treated to advantage in such a manner. Elaborate and intentional sophistry, just sufficiently plausible to give some little trouble to any one who tries to unravel it, is tiresome, however artfully it may be constructed. The course of the argument is to show, first by an account of the various ravages of war, and then by a specification of the evils of various forms of government—monarchy, aristocracy, democracy, and the form in which the three are mixed— that civil government in all its shapes is an evil in comparison with natural society. This is supported by arguments showing how the laws, for the purpose of instituting which civil society was founded, become themselves a source of oppression by reason of their obscurity and intricacy; how the distinction between rich and poor is the source of innumerable sufferings, both to the poor, who undergo all sorts of hardship and privation, and to the rich, who are exposed to all manner of moral corruption. The whole ends by a parallel between politics and theology. Theology the supposed writer and his correspondent agree in rejecting because of the absurdities which it involves. Must we not, he asks, in consistency, go a step further and reject civil society? The blots in the argument are that no plausible account is given of the evils of what the writer calls Natural Society, that the benefits of civil society are left practically out of account, and that no attempt is made to show that the evils connected with it cannot be remedied. This destroys the plausibility of the argument, and therefore the merit of the parody. Several points, however, are handled in a very striking way. In particular, the defects of the British Constitution, and of the law of England, are painted with extreme vigour. A form of government compounded of monarchy, aristocracy, and democracy must of necessity be extremely complicated. The powers of the several parts must be indeterminate and apt to conflict. Each part preserves its own characteristic faults, and party government, with all its evils, is a necessary result. The technicality and the obscurity of the law, and its haste and cruelty in criminal cases, are also most vigorously described. Indeed, there is nothing absurd in the whole essay except the omissions, and the conclusion which it is impossible to believe that Bolingbroke could ever have drawn, and which is not really parallel to his conclusions as to theology, if it were worth while to discuss the matter. There is one curious passage which may be noticed: 'I have somewhere called this earth the Bedlam of our system. Looking now upon the effects of some of those fancies, may we not with equal justice call it likewise the Newgate and the Bridewell of the universe?' Berkeley, Baxter, and Voltaire have said the same in the most solemn earnest. Next to the parody on Bolingbroke comes the famous Inquiry into the Origin of our Ideas of the Sublime and Beautiful. Besides its inherent merits, it is remarkable as being the only regular treatise on a general subject to be found in all the volumes of Burke's works. Its interest appears to us to lie rather in the light which it throws on the character of the author's mind than in its intrinsic merits; for though some of the detached speculations which it contains are curious and interesting, it is difficult to regard the general doctrine of the book as anything more than a rather arbitrary attempt to fix the meaning of two words, which are in fact used very vaguely, and in different senses, by different people at different times. The systematic and vigorous, though in our opinion radically unsatisfactory, way in which the discussion is conducted is the most remarkable part of it. The tobacco illustration is a remarkably unlucky one. The strongest argument against Burke's thesis is to be found in the fact that tastes change, not only in individuals, but in nations; and the increased taste for narcotic stimulants is as striking an illustration as could be given. Passing from the question of taste to the main subject, Burke begins with a general inquiry into the nature of the passions. He prefaces it by a distinction between positive pleasure and delight, which he strangely defines as 'the sensation which accompanies the removal of pain or danger.' He then, in a succession of chapters, develops the following theory: The passions may be classified with reference to their final causes, which are self-preservation and society. The passions which belong to self-preservation turn on pain and danger. The presence of pain or danger is simply painful, but when we think of them as absent, we feel delight, and whatever excites this delight is sublime. The passions which belong to society belong either to the society which exists between the sexes, or to the general society which exists between all men and all other animals. These passions are love, with or without the sexual element. The object of love is beauty. The passions of sympathy, imitation, and ambition are also social, and are excited both by the sublime and by the beautiful. Having laid this foundation, he proceeds to examine the conditions which are favourable to sublimity. 'Terror is in all cases whatsoever, either more openly or latently, the ruling principle of the sublime.' Hence obscurity is sublime, on which Burke characteristically observes: 'Great clearness helps but little towards affecting the passions, as it is in some sort an enemy to all enthusiasms whatsoever.' He adds afterwards, 'To see an object distinctly, and to perceive its bounds, is one and the same thing. A clear idea is, therefore, another name for a little idea.' Power is sublime because it terrifies. 'Love approaches much nearer to contempt than is commonly imagined.' Vastness and darkness, huge sounds, such as the shouting of a multitude, things sudden and unexpected, cries denoting pain or danger, are elements of sublimity. He oddly observes, 'No smells or tastes can produce a grand sensation, except excessive bitters and intolerable stenches.' According to this, a man tasting strychnine in a sewer would be in a sublime situation. From the sublime he passes to the beautiful, which, he contends, does not consist in proportion or fitness—a doctrine maintained, amongst others, by Berkeley, to whom there are several tacit references in different parts of the treatise. His objection to this doctrine is that, though the proportions laid down as causes of beauty in the human body are frequently found in beautiful bodies, they are also found in bodies not beautiful; that beauty is found apart from them; and that where they co-exist, other conditions are present which are also present where beauty is found without these proportions. On similar grounds he refutes the notion that utility or perfection is the cause of beauty, and he proceeds, in strict accordance with the whole tenor of his theories on all subjects, to add that beauty cannot be described as a property or test of virtue. 'This loose and inaccurate manner of speaking has therefore misled us both in the theory of taste and of morals, and induced us to remove the science of our duties from their proper basis (our reason, our relations, and our necessities), to rest it upon foundations altogether visionary and unsubstantial.' He concludes from all this that ' beauty is for the greater part some quality in bodies acting mechanically upon the human mind by the intervention of the senses.' The physical qualities which produce beauty are comparative smallness, smoothness, variety in the direction of the parts (the neck or bosom of a woman), the absence of angularity, delicacy of frame without any remarkable appearance of strength, soft but clear and bright colour, variegated if glaring. The next inquiry is why these various causes produce a sense of sublimity or of beauty. Why does vastness, for instance, produce the idea of sublimity? A great number of ingenious answers are given to the questions which this inquiry suggests. For instance, darkness produces sublimity, because, causing helplessness, it causes terror. It is terrible too in its own nature, as is proved by the uneasiness which the boy born blind and couched by Cheselden showed when he first saw a black object; and this Burke supposes may be caused by the effect of the absence of all light upon the nerves of the eye. Beauty, on the contrary, 'acts by relaxing the solids of the whole system,' which relaxation produces 'the passion called love.' The other properties which produce sublimity or beauty are analysed in the same way. Several chapters are devoted to the proof and illustration of the theory that we use large numbers of words which convey no ideas to the mind. The whole inquiry leaves on the reader the impression that the author was a singularly laborious, careful, and systematic thinker, and that he had great ingenuity, but it does not appear to us very convincing. It was written when Burke was under thirty, and it has that disproportion of logical scaffolding to ultimate result, which is common in early performances. Lord Macaulay observes that it is wanting in the eloquence which Burke developed later in life. There are a few exceptions to this remark. Read, e.g., the 19th section of the first part: 'The more accurately we search into the human mind, the stronger traces we everywhere find of his wisdom who made it,' etc. There is a similar passage in Section 5 of Part II., about the middle. Burke's entrance into public life in 1765, under the auspices of Lord Rockingham, diverted him from mere literature, though it gave tenfold importance to his literary powers, by converting them into most effective engines of political warfare. His party pamphlet The Short Account of a Short Administration—the Rockingham Administration (July 1765— July 1766)—and the Observations on a Late State of the Nation, published in 1769 in answer to a pamphlet supposed to have been written by Grenville, and really written by his secretary Knox under his inspiration, have at present only an historical interest, as they refer almost entirely to forgotten party questions. The only point in either which has still any general interest is a passing reference to plans for enlarging the suffrage, which Burke regards as an unmixed evil, and a discussion of the relations between England and America. He points out the practical impossibility of having the colonies represented in Parliament, a scheme then under discussion; and insists, with clear foresight and good judgment, on the great importance of not treating the questions between the colonies and the Mother-country, as in any way dependent on metaphysical disputes about the nature of sovereignty and its rights, and of not allowing such disputes to obscure the substantial question as to the true interests of the parties. The Thoughts on the Causes of the Present Discontents (1770) are of much more permanent interest. They are the earliest of Burke's great constitutional efforts upon comparatively transient matters. The 'Present Discontents ' are those which were excited by the questions about Wilkes, by the riots which were caused by his imprisonment and liberation, and by the party known by the name of the King's Friends. Burke examines these various topics, and preaches upon them the appropriate constitutional doctrines as he understands them. As to the King's Friends, he holds that the proper advisers for the Crown were those persons who possessed the confidence of Parliament. He denies that this doctrine is, in a bad sense, aristocratic, and he denounces those who 'alarm the people with a phantom of tyranny in the nobles'; and he goes on to discuss, with reference to the politics of the day, the practical results of the attempt to institute a double Cabinet, and to substitute the King's Friends for constitutional Ministers. He next proceeds to rebuke the House of Commons for its anti-popular tone in regard to Wilkes. The House 'was not instituted to be a control upon the people, as of late it has been taught, by a doctrine of the most pernicious tendency. It was designed as a control for the people. . . . The House of Commons, as it was never intended for the support of peace and subordination, is miserably appointed for that service.' The persecution of Wilkes was a crime committed by the House against its very nature. In expelling him it assumed the position of 'a court of criminal equity . . . which is in truth a monster in jurisprudence.' Lastly, Burke takes occasion to preach the doctrine of party government and fidelity to parties. It is in this part that the famous sentence occurs—' When bad men combine, the good must associate.' He goes on to point out how party associations are the only practicable means of carrying out any reforms as matters of principle. The next publication in order of time is the Speech on American Taxation (1774). It is an admirable performance, which even at this distance of time cannot be read without keen regret. It contains many brilliant passages, especially the well-known characters of Lord Chatham and Charles Townsend, and the description of General Conway coming into the lobby and being congratulated by the trading interest after the repeal of the Stamp Act; but more remarkable than these personal pictures is the expression of general principles as to America. The position of the colonies, he says, had been that of restriction in trade accompanied by full civil liberty. Burke's advice is to maintain this position: 'Be content to bind America by laws of trade; you have always done it. Let this be your reason for binding their trade. Do not burden them by taxes; you were not used to do so from the beginning. Let this be your reason for not taxing. These are the arguments of States and kingdoms. Leave the rest to the schools.' A little before he had said: 'I am not here going into the distinctions of rights. ... I do not enter into these metaphysical distinctions. I hate the very sound of them.' This is the keynote of all his writings and speeches on American affairs. The Speech on Conciliation with America (March 1775), which was utterly ineffectual, is a far more elaborate and remarkable effort in every way than the Speech on American Taxation. It is one of the most astonishing performances in the way of speaking to be found in the history of this country. Like almost every other speech Burke ever made, it contains its purpurei panni; especially the speech which 'the angel of this auspicious youth' (Lord Bathurst) might have addressed to him in his early days as to the progress of America; and that wonderful description (for it is nothing less) of the genius of the American people which contains the famous phrase about 'the dissidence of Dissent and the Protestantism of the Protestant religion' as characteristic of the Northern colonies, whilst the aristocratic origin of the Southern colonies, and the aristocratic influence of slavery, are dwelt upon as rendering their enmity almost more formidable. No one of Burke's works shows more strikingly that which was one great leading characteristic of his mind—the extraordinary industry and sagacity with which he acquired information about distant countries. The clearness with which he appreciated the circumstances of the American colonies is exactly parallel to the clearness and accuracy of his judgment on the old Government of France and the social condition of the country. In the latter part of the speech he insists on the necessity of just legislation for ending discontent, from the precedents of Ireland, Wales, Cheshire, and Durham, which were successively appeased by those means (the example of Ireland is rather an unhappy one), and he ends with a masterly justification of his proposals on the narrowest of all grounds—the ground of money. He says, and says truly, You will get infinitely more from the affections than you can possibly hope to get from the fears of the colonists. The Letter to the Sheriffs of Bristol is an appropriate postscript to this magnificent oration, turning for the most part on the same subjects, and forming, on the whole, as melancholy reading as any that the history of his country provides for the humiliation and instruction of an Englishman. Of Burke's other writings in connection with his representation of Bristol it will be enough to say that his Speech on the Close of the Poll is memorable for its exposition of the doctrine that a representative is not a delegate; and that his speech previously to the election of 1780, which closed his connection with the city, is an admirable exposition of the brutality of religious tyranny and of the reasons why it is so often popular. The Speech on Economical Reform (February 1780) is perhaps the greatest effort which Burke ever made in the purely business-like direction. Nothing can exceed the skill with which the various establishments then in existence—their uses, their abuses, and the alterations proposed in them—are described. It contains fewer references to general principles than almost any other published performance of its author. Nearly the only one, if not the only one, is a disquisition on the principles on which pensions should be conferred, and on the reasons why they should be granted by the King. As a compensation, the speech contains (along with one or two of the clumsiest) perhaps the very best of Burke's efforts in the humorous direction. We refer to the passage which describes the deserted condition of the ancient palaces, in which 'a frightful silence would reign ... if every now and then the tacking of hammers did not announce that those constant attendants upon all Courts in all ages, Jobs, were still alive.' This speech is specially deserving of notice because there is hardly to be found elsewhere so clear, so vigorous, and so learned a sketch of the constitutional character of the Executive Government in the latter half of the eighteenth century. The speeches on Indian affairs form a separate and a most important part of Burke's works; but as our object is rather to consider him from the literary and speculative point of view than historically, we will content ourselves with a single reference to them, observing, however, that the Speech on the Nabob of Arcot's Debts is one of the strongest illustrations that English literature supplies, of the power of logic, directed by fierce indignation, to make the most obscure and distant subject vividly interesting. No more powerful statement of a mass of facts intrinsically tedious and repulsive has ever been made by any writer or speaker. The works to which we have referred, well as they are known, and often as they are quoted, are only a sort of introduction to those which are most completely characteristic of Burke, though to many readers at the present day they will appear less creditable than his earlier performances. We refer, of course, to his attacks on the French Revolution. They are thirteen in number: The Reflections on the Revolution in France (1790); A Letter to a Member of the National Assembly (1791); The Appeal from the New to the Old Whigs (1791); Thoughts on French Affairs (1791); Heads for Consideration on the Present State of French Affairs (November 1792); Remarks on the Policy of the Allies (1793); Observations on the Conduct of the Minority (1793); A Letter to Mr. Elliot (May 1795); the famous Letter to a Noble Lord in answer to a Speech of the Duke of Bedford (1796); and lastly, three letters published during his lifetime On a Regicide Peace (1796), with one posthumous letter on the same subject. It is in these writings that Burke shows his whole soul, and puts forth his powers of every kind to the very utmost—to a point indeed at which the intensity of the effort is sometimes so painfully obvious as greatly to detract from the effect. We shall not here criticise these writings—partly because their general tenor is so well known; partly because we propose to try to extract and discuss, on a future occasion, the theory which runs through them all. We shall therefore content ourselves with reminding our readers in the fewest possible words of their general scope. They begin by depicting the principles and character of the Revolution in the blackest colours which Burke's genius enabled him to lay on; whilst, on the other hand, the principles of the old French Government are described in the most attractive light, and those of the English Constitution are almost deified. This, in a few words, is the general scope of the Reflections; the same topic is followed up in the Letter to a Member of the National Assembly. The Appeal from the New to the Old Whigs supports and develops the special point that Burke's view of the English Constitution was in accordance with party precedent; but it states the very foundations of that view with a power and depth elsewhere unequalled by the author. The subsequent pamphlets are all in one direction. The Thoughts on French Affairs are a solemn shaking of the head. England is becoming infected with French principles, which must be kept out. The Heads for Consideration urge vigorous offensive war. The Policy of the Allies is a sermon for a crusade; the Letters on a Regicide Peace continue the same subject with a passionate vehemence, we might almost say ferocity, which strikes the reader even at this day as something almost frightful. The personal quarrel with the Duke of Bedford which called forth the Letter to a Noble Lord is almost a relief, though it certainly carries impassioned and furious eloquence to a pitch seldom equalled before or since. We conclude this slight catalogue of Burke's works with a short reference to those which were published after his death. The tracts on the penal laws against the Irish Roman Catholics, with which must be classed a letter on the same subject written to Sir Hercules Langrishe in 1792, are eminently characteristic, especially the latest of them, in which Burke contrasts the Roman Catholics with the Jacobins, and pleads for a payment of the Roman Catholic priesthood, on the ground that their creed is infinitely preferable to Jacobinism. Some, too, of his notes for speeches, and in particular his notes for a speech on the Unitarian Petition and on the Act of Uniformity, are full of principles of the widest interest at the present day as to the legal character of the Church of England. His Abridgment of English History contains chapters better than almost anything written upon the subject in the eighteenth century; and if it is true that he wrote it in early youth, it is one of the most remarkable performances in literary history. These observations are intended to give a sort of index map of the works of an author who is very much quoted, but comparatively little studied. We hope to try to extract from the various sources to which we have referred something in the nature of a connected body of doctrine, and to discuss a few of the many interesting problems which it suggests. Saturday Review, October 19, 1867.